Sunberry growing shrub‎ of the genus Solanum also known as Wonderberry, Sunberry perennial but in cold climate grow as annual evergreen plant and also used as ornamental plant can grow in mediterranean, subtropical, temperate or tropic climate and growing in hardiness zone 10b+ as perennial 2+ as annual. Leaves hairy in shape rhomboid to deltoid the size 3-5 cm, flowers color white grows in clusters. 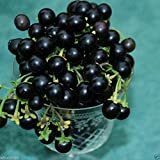 20 Wonderberry Seeds (Sunberry) -Very easy to grow -COMBINED S/H! See Our Store! 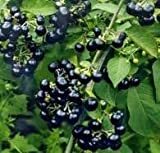 What can be done with big quantities of Sunberry fruits?